Ragging is prevalent in most of the colleges in India even as Lawmakers have put a hook on ragging country wide. College authorities have their own way to implement the law against ragging which is done with the help of police or other law implementing bodies. 1. 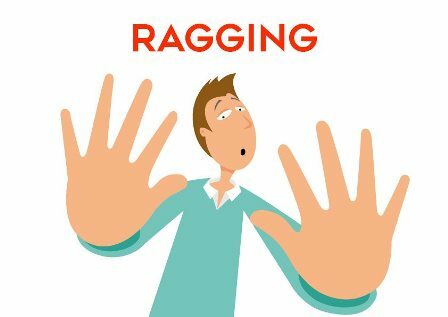 “How to handle ragging” should actually be “How to avoid ragging” sometimes. In fact, if a junior is not sure that he/she will not be able to sustain the bullying then before entering college life he/she must find out about colleges with bad reputation of ragging and should not take admission. 2. If due to some compulsion one has to take admission in a college where ragging is rampant then the student should not stay in the college hostel for the 1st Year. 3. One can befriend some less ‘wild’ seniors and with the use of social skills one can make seniors happy and during an ‘ugly’ time of ragging the senior ‘friend’ will help the junior by reducing their confrontation with more ‘wild’ seniors. 4. With the use of politics, a junior can win over one group of seniors and use them on other group of seniors. Divide and rule is the best policy. 5. One can use the name of some socially powerful person, even if one may not know him, when things are getting worse during ragging.